So what do we have here—a parakeet or a budgerigar or a budgie? Actually, all three names apply to the same bird. 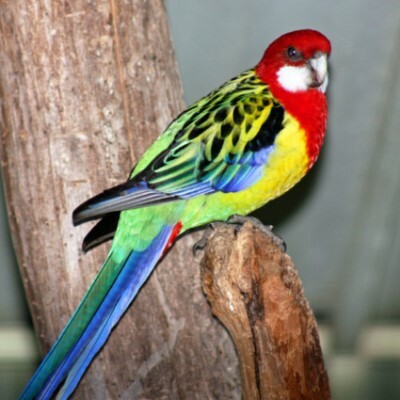 The parakeet comes in a wide variety of species and is probably the most popular pet bird worldwide. There are two basic types of budgies: the American and the English. English budgies have a head that is a little larger than the American parakeet or budgie. 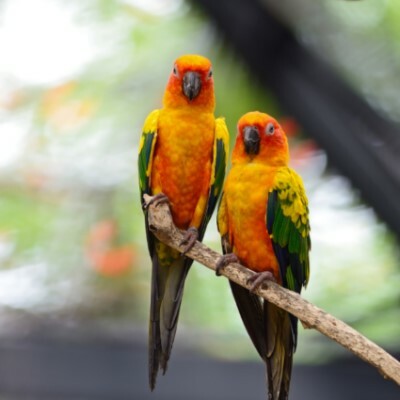 People tend to think of the parakeet as “disposable” because the monetary value of the bird ranges from $25 to $60 per bird, much less than the hundreds or even thousands of dollars offered for more exotic parrots. The parakeet is lively, friendly, and easy to train. Their chirping sounds are pleasant and not too loud, so the parakeet can usually be kept in an apartment without disturbing the neighbors. Parakeets want to be part of the family and those who allow their budgies “free fly” time will find their birds sit on their shoulders, explore their space, and will even interact with other family pets. 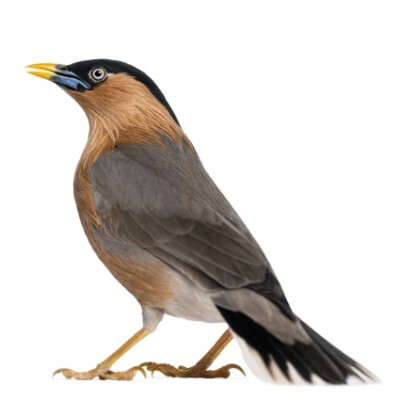 They’re entertaining and, when out flying, will often “dive bomb” visitors’ heads: they’ll fly down, get close to the visitors’ heads to see their reactions, and fly away again. Parakeets are escape artists, so be sure that the cage door is securely closed or your budgie may find her way out. They get lonely and you should buy or adopt two to keep one another company if you are gone all day. 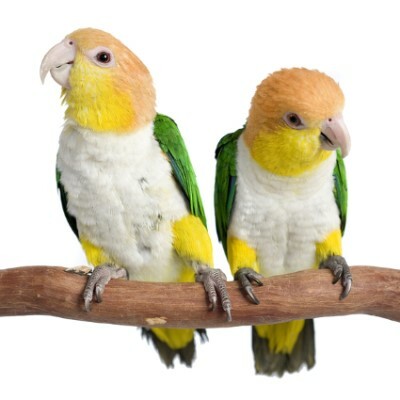 Parakeets are inexpensive to buy and for that reason some people think of this pet as "disposable” and sometimes do not treat the budgie with the care and respect that it deserves. Parakeets need more pellets than seed and require a diet mixed with veggies, fruits, and grains. 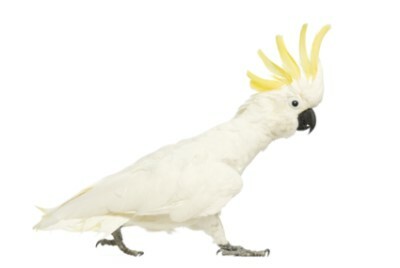 (ZuPreem sells parakeet pellets and is popular with many budgie owners.) Budgies generally love to munch on leafy greens. Stick a piece of romaine lettuce between the bars and watch your budgies munch away. (Be sure to take any uneaten fruits and vegetables away so they don’t spoil.) 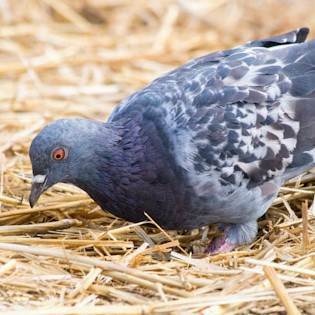 Seeds should be fed sparingly, no more than a few times a week maximum and only mixed in with pellets. Think of it this way: You wouldn’t eat steak every day if you want to stay healthy. 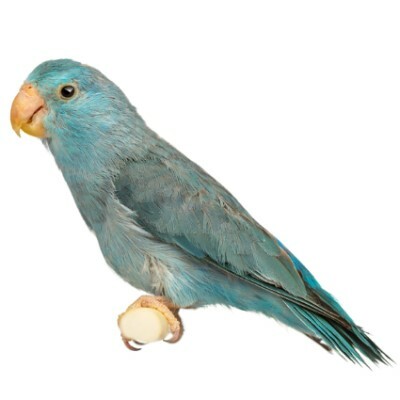 Feeding your budgie exclusively pellets or seeds every day is like eating steak every day, and that will drastically shorten her lifespan. And don’t forget millet, a plant you can buy in bundles. They love to eat it when it is ripe. Provide fresh water daily and check the water bowl periodically throughout the day. Some budgies enjoy standing over their water bowl and will inevitably eliminate in the water. You may need to change your parakeet’s water bowl several times a day as a result. Birds don’t live in cages in the wild, and many parakeet parents have discovered the joy of allowing their budgies time outside of the cage, even without clipping their wings. If you allow your parakeet(s) time outside of the cage, be sure you bird proof first. 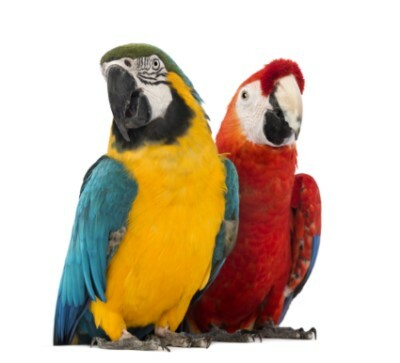 (Consider confining your birds to free fly in one room that does not have a door with access outside the home.) 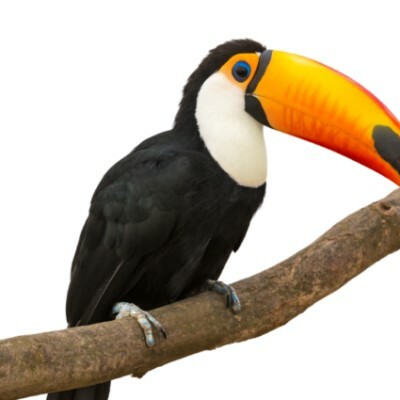 If the room has a ceiling fan, always keep it turned off when your birds are out. Birds love to sit on ceiling fans and, if you turn it on, your budgie may fly into it and become fatally injured. Keep the door to the room either shut or propped open, so a gust of wind doesn’t send it flying shut. Budgies love to sit on the top of doors, so always check before shutting a door. Keep windows shut and toilet seats down. Provide natural wood branches that are notched on both ends to fit securely onto the cage’s vertical bars. Parakeets enjoy stripping the bark from their wooden branches. Budgies love swings, a short ladder and a tall ladder to climb, bells they can “ding”, and any toy that includes a mirror. Your parakeet will move objects with his beak, not his feet. Bathing needs to be done early in the day so the feathers are dry before nightfall. Keep the cage away from drafts so the birds do not get sick. 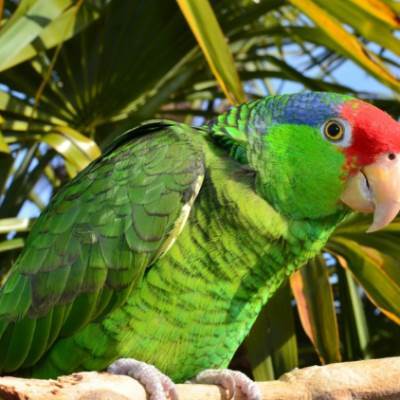 If you care for your bird’s housing and needs, the parakeet will rarely get sick. Be sure your budgie cage bars are a half an inch or less in width or this small bird could get his head stuck in between the bars. 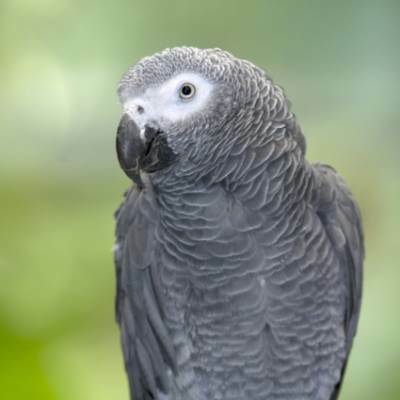 Buy the biggest cage, specifically for parakeets and small birds, you can afford, especially if your budgies aren’t going to get a lot of time out of the cage. 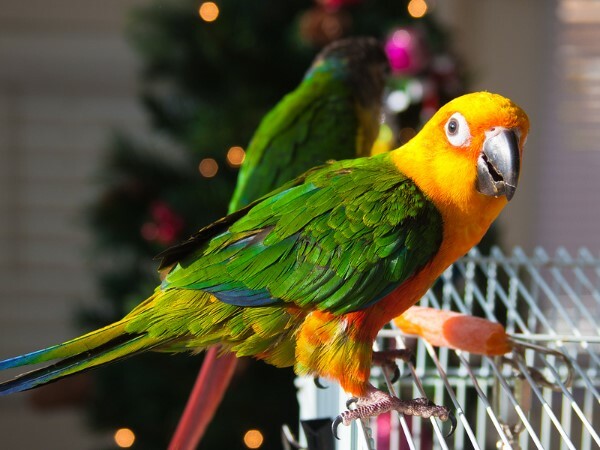 Parakeets can be kept in an apartment, farm house, or suburban home as their chirping is not excessively loud, and they do not need stimulus from outdoors. However, most birds enjoy a cage that is near a window where they can look outside. Be sure you keep the bird in the room where your family congregates as isolation in a spare bedroom, for instance, will frustrate your budgie because it is a social creature. Your budgie’s cage will need to be cleaned out at least once a week. Wing clipping usually takes two people, but you can learn how to clip your budgie’s wings by first taking him to an avian veterinarian and observing how the grooming is done. You do not need to clip your parakeet’s wings, although some people prefer to do so. 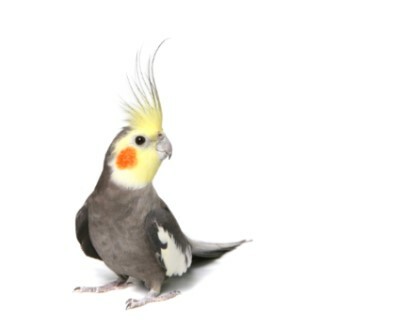 You can purchase a therapeutic perch, which should be about three quarters of an inch in diameter that will help keep your budgie’s nails trimmed. You may place a plastic bird bath tub on a towel and immerse your budgie in an inch or so of warm water. Your budgie may or may not enjoy being misted with clean warm water from a garden mister. She may develop such a trust in you that she will allow you to hold her gently underneath a faucet of warm low pressure water. 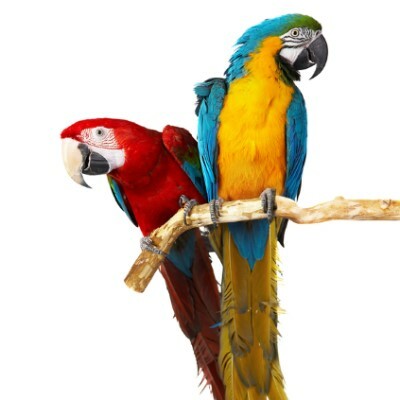 Only air dry—do not blow dry your bird or towel dry her—so be sure to bathe early in the day so there is time for her feathers to completely dry before the cool of night. Before you attempt to take your budgie out of his cage, warm up to him with a few sessions of approaching your bird, gently talking to him, and eventually show him your hand. Be sure to close the blinds and cover mirrors so she doesn’t fly into the glass.After trust is developed, the budgie loves to step up and perch on the owner’s finger, a neat trick to learn to do and enjoy with your parakeet. There is no guarantee that a budgie will talk, but the odds will be in your favor if you have a male bird, he is the only bird in the house, and you’ve taught him to trust you. Hold your budgie on your finger directly in front of your face and repeat the word you want him to learn. You may also find that your budgie starts picking up every day household sounds: the toilet flushing, water running, and the phone ringing. Some budgies have even learned to bark from listening to the family dog or neighborhood dogs. Parakeets can also be trained to go into their cage on command, although you may find it a challenge actually getting your parakeet back into her cage if she’s in a playful mood. Mirrors! Budgerigars are famously fascinated with themselves in mirrors. You can place a mirror on a toy in the cage, hold one up to your bird, or even place a small mirror in the bottom of his bathtub. Keep a swing or swings in your parakeet’s cage, as most love to sleep on them at night and some enjoy hitting them back and forth with their beaks. When you leave your budgie or budgies alone, put the television or the radio on. 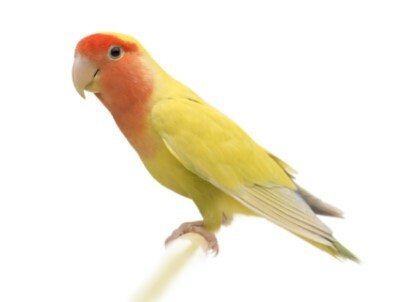 Parakeets enjoy the sounds and will tweet, sing, and talk along. Because parakeets are escape artists, you will likely find that you need to secure the cage doors a little tight. A twist tie will work, unless your parakeet is determined and even then he will probably be able to twist it off with his teeth. Just in case your budgies escape when you’re not at home, make sure doors and windows are shut; fans and appliances are turned off; and the room is as it would be during your parakeet’s free fly time. 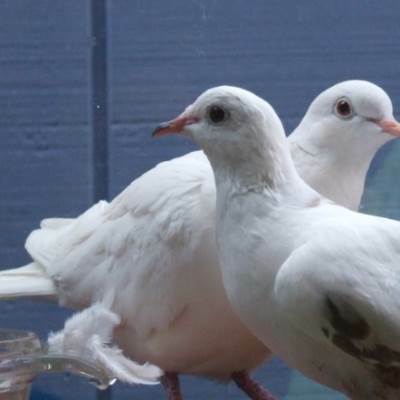 We want to thank Feathered Friends Forever, Harlem, Georgia, for help with this profile.